The EUR/USD is expected to face significant action this week, which is headlined by a crucial Eurogroup meeting over Greece on Friday. 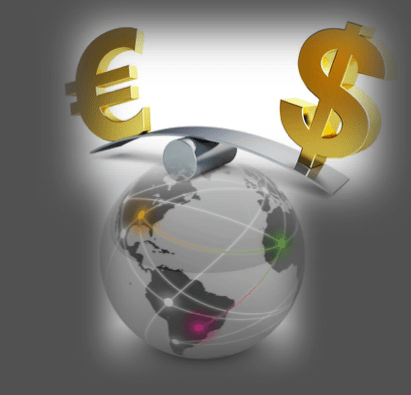 The EUR/USD rallied more than 2% last week, as tepid US data weighed on the greenback. The EUR/USD retraced some of its gains in Monday’s Sydney session, declining 0.2% to 1.0793. The following is a look at the key economic events driving the EUR/USD this week. ZEW will release its monthly indicators of institutional investor sentiment. German investor sentiment is forecast to improve again in April after rising for a fifth straight month in March. The current situation indicator is forecast to rise 0.9 points to 56.0, while the barometer of economic sentiment is expected to increase 0.5 points to 55.3. The European Commission will release monthly consumer confidence data. The preliminary Eurozone consumer confidence indicator for April is forecast to rise to -2.5 from -3.7. In the United States, the National Association of Realtors will release data on existing home sales for March. The sale of previously owned homes is forecast to increase 2.5% to 5 million after rising 1.2% in February. GfK will release a more closely watched gauge of consumer sentiment on Thursday. The forward-looking German consumer confidence index is forecast to hit a fresh 13-year high of 10.2 after jumping 4 points the previous month. Separately, Markit Economics will release PMI figures for Germany and the Eurozone. German services PMI is forecast to rise to 55.5 in April from 55.4. The manufacturing PMI is forecast to rise to 54.0 from 52.8. The Eurozone figures are also expected to improve, with the services PMI climbing to 54.5 from 54.2. The manufacturing PMI is expected to reach 54.4 from 54.0. Markit is also expected to announce an increase in its US manufacturing PMI. The monthly indicator is forecast to rise to 56.0 from 55.3 in April. Separately, the Department of Commerce will report on March new home sales. The sale of new homes is forecast to drop 3.9% to a seasonally adjusted annual rate of 518,000. The Ifo Institute will release a closely followed indicator of German business confidence, which is expected to show broad improvements in business expectations, the business climate and current assessment. The Eurogroup meetings will also kick off on Friday, as Eurozone finance ministers arrive in Brussels, Belgium to negotiate the future of Greece’s bailout program. Athens is required to submit a new list of reforms on Friday in order to secure its next loan package from the European Union. A failure to do so puts Athens on a collision course with default. In the United States, the Department of Commerce will close out the week with durable goods orders. March orders for durable goods are forecast to increase 0.8%, a sign factory demand was improving following the winter slowdown.